This carpet is designed in latest trend but in traditional style. It contains a perfect color combination which represents the royalty of this carpet. This is a 100% hand washable and highly durable rug. 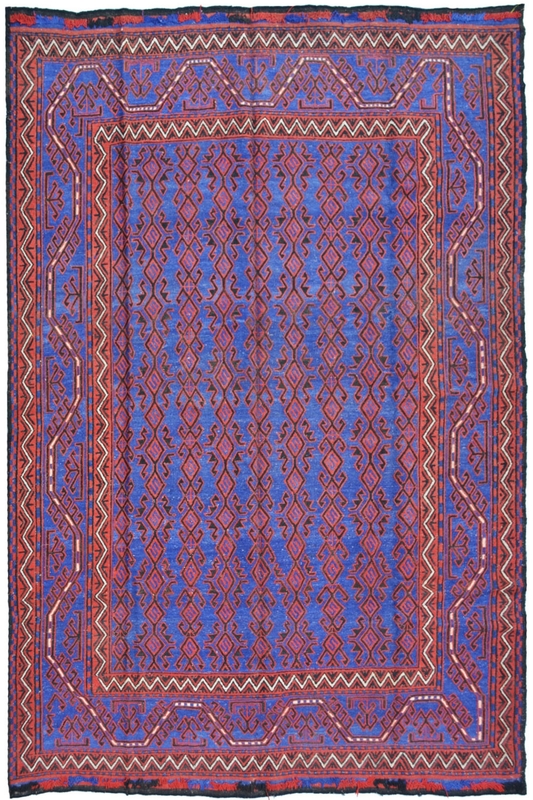 This rug is made in kilim style on a handloom. It is woven in finest quality of cotton mad wool material. The warp is in cotton and weft is in wool. It is a dual-layered border carpet. The ground is in blue color and design is in pink and ivory color. This rug is ideal for a bedroom and a living room as well. It has taken around 3-4 months to weave. It is 100% hand washable and highly durable kilim rug.